Denis Dennehy is a Research Fellow with Lero | The Irish Software Research Centre and a lecturer with the Business Information Systems Group at NUI Galway. His current research focuses on the application of (i) flow practices and tools, (ii) flow analytics, (iii) enactment of flow within the context of information systems development (ISD), and (iv) its implications for people, processes and organisations. His research has been published in leading outlets including Information and Management, Journal of Systems & Software, Project Management Journal, International Conference on Information Systems (ICIS), European Conference on Information Systems (ECIS), and R&D Management Conference. He has a keen interest in current discourse on the socio-technical aspects of ISD and analytics, with an emphasises on viewing ISD as evolving activity systems (teams, organisations) beyond a single user. His research is informed through extensive engagement with Lero industry project partners and is supported with the financial support of the Science Foundation Ireland grant 13/RC/2094 to Lero. 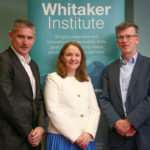 He has conducted research with Irish SMEs and multinationals such as, Dell Technologies, Intel, Fexco, Leading Edge Group, Texuna, and Citrus Training & Consulting. He is a Senior Editor of Information Technology & People and is Director of the MSc. Business Analytics programme.